Staveley and Ings have a long history and many fine traditions. 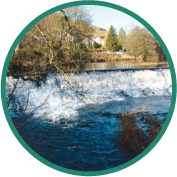 Nestled at the foot of the beautiful Kentmere valley and bisected by the rivers Gowan and Kent, the two villages provide the natural gateway to the Lake District but also offer residents and visitors so much more. They are simply brimming with life. While mountain biking may have replaced bobbins as the focus of local activity, today our communities have diversified to provide a wealth of local services, shops, businesses and voluntary organizations far outstripping others of a similar size. Best of all Staveley and Ings enjoy a vibrant community spirit, which mark them out as special places to live and visit. 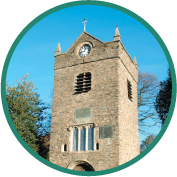 Staveley with Ings Parish Council was established as recently as 2004 when the councils representing the civil parishes of Hugill, Nether Staveley and Over Staveley decided our communities would be better served by one representative body. Since then we have produced two ambitious Parish Plans, which have set out our aspirations for the future. This web site is the culmination of one of our early priorities. We hope it will help you to be better informed about the work of the Council but also activities and events in the wider community. 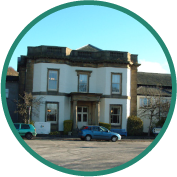 Staveley and Ings will continue to change and develop but as they do the Parish Council will do its best to make the community an even better place both for residents, businesses and visitors today and for the generations that follow.